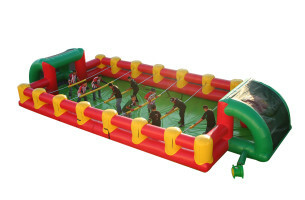 If you think traditional table foosball is fun, this life-size version is everything as you become the game - literally! This inflatable takes the table top favorite to a whole new level of life-size fun. Rent it for your event to be sure it’s an unforgettable one!